Helmut Rahn, Gerd Müller and Andreas Brehme are names that have gone down in German folklore for their World Cup winning exploits. As of July 13, 2014 the Nationalmannschaft legends were joined by Mario Götze, scorer of Germany's winning goal in the 2014 FIFA World Cup final. Immortalised by a world-class chest-and-volley finish that swept Lionel Messi and Co. under the rug, Joachim Löw put it best when referring to the FC Bayern München starlet as Germany’s “miracle boy”. Born 75 miles west of Munich in the sleepy town of Memmingen, Götze got to know an altogether different part of Germany at a young age when his father took up a professorship at the University of Dortmund. Playing for Eintracht Hombruch, his precocious talent soon came to the attention of Borussia's scouts and, accompanied by his older brother, he switched to the Dortmund youth academy. After shining for Germany at youth level through to the U-17s, Götze became the ninth-youngest Bundesliga debutant on 21 November 2009, coming on as a late substitute in the 0-0 draw with Mainz. A blistering start to the following season, for Dortmund and Götze in like measure, led to none other than Franz Beckenbauer drawing comparisons with Lionel Messi. As the praise poured in, Götze, the first player to twice win the prestigious gold Fritz-Walter Medal recognising the best player in his national team’s age group, nonetheless kept his head. On 17 November 2010, less than a year after his first ever professional appearance, he made his senior Germany debut in another 0-0 draw, this time against Sweden, becoming the second-youngest player to pull on a Germany shirt. Götze discovered the flip side of professional football when a troublesome groin injury sidelined him for four months, but he returned as Dortmund clinched a Bundesliga and DFB Cup double at the end of the 2011/12 season. The youngster maintained his upward trajectory under Jürgen Klopp in the 2012/13 campaign, but was blighted when a groin problem flared up during the UEFA Champions League semi-final second leg against Real Madrid, thereby ruling him out of the first-ever all-German final in Wembley. His decision to join FC Bayern had already been announced by then as the possibility of working under Pep Guardiola proved too great an allure, despite BVB's star midfielder having signed a contract extension to keep him in Dortmund until 2016 in May 2012. 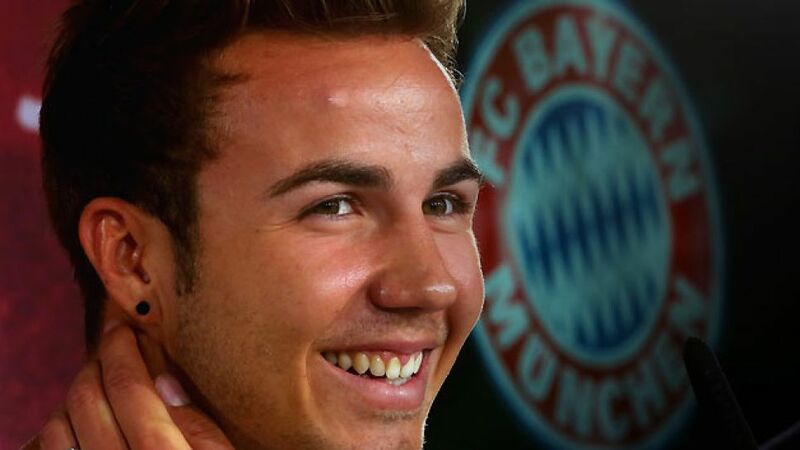 "In a footballing sense, this is the right decision for me,” explained Götze in his official unveiling in Munich. For Dortmund fans, whose hearts he broke with the winner in his return to the Signal Iduna Park in November 2013, it was hardly "the right decision", even if he did go on to win a third Bundesliga crown by the age of 21 and in record time. Götze's crowning glory, however, came in the 2014 FIFA World Cup final in 'Ma-rio de Janeiro' as he came off the bench, replacing all-time leading World Cup goalscorer Miroslav Klose before collecting Andre Schürrle's 113th-minute pass to fire Germany to a 1-0 win. “I said to Götze: ‘OK, show the world you are better than Messi and can decide the World Cup,’” said Löw after the match. “I always had a good feeling about Götze. Argentina were becoming more and more tired, but we had players who could make a difference. Götze is a miracle boy, a boy wonder."